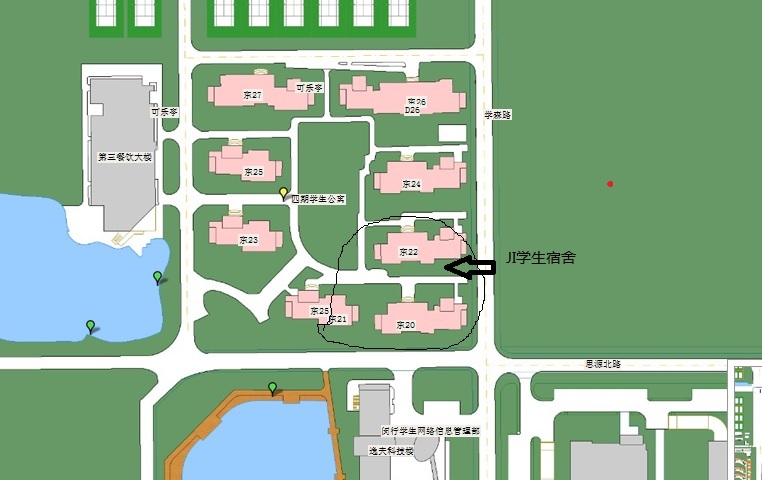 The JI Dormitories are located on Xuesen Road (学森路), close to the botanical garden and the new library. 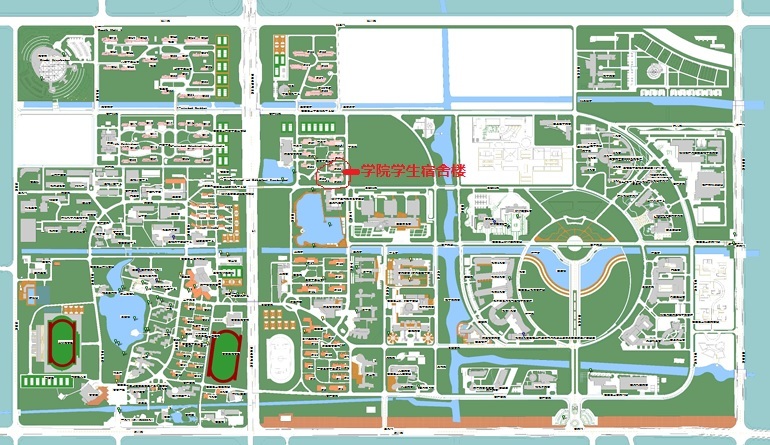 The distance to the JI Building is about 1 km. Female students live in Building 21. Male students live in Buildings 20 and 22.